Our first port of call after we left Fort Lauderdale was Key West, Florida. We originally booked a kayaking tour through the cruise ship, but they cancelled it, we're suspecting because not enough people had signed up for it. 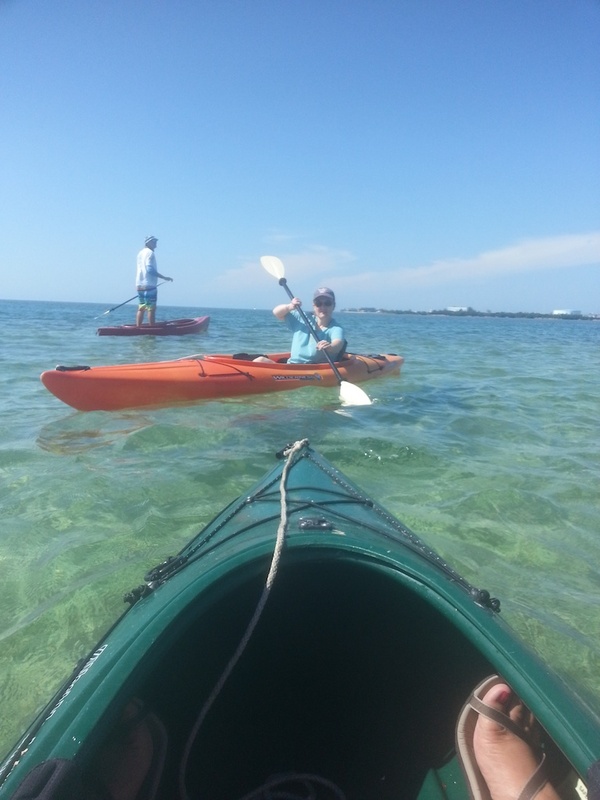 Kristin called around Key West and found that Blue Planet Kayak Eco-Tours could take us. Turned out that we were extremely grateful that the cruise-line cancelled our original booking, because it would not have been as hands-on nor as adventurous. 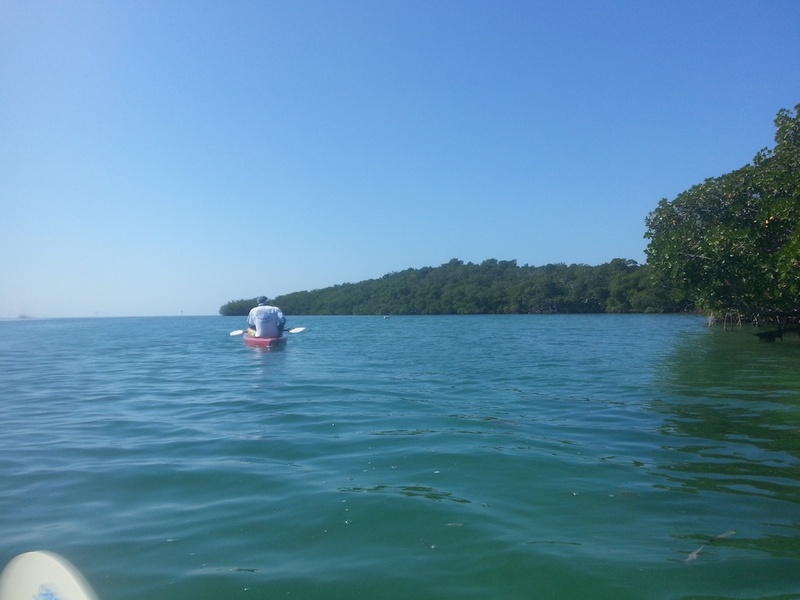 Since it was off-season, Blue Kayak didn't have any other people booked on the tour, so it was just the 2 of us. 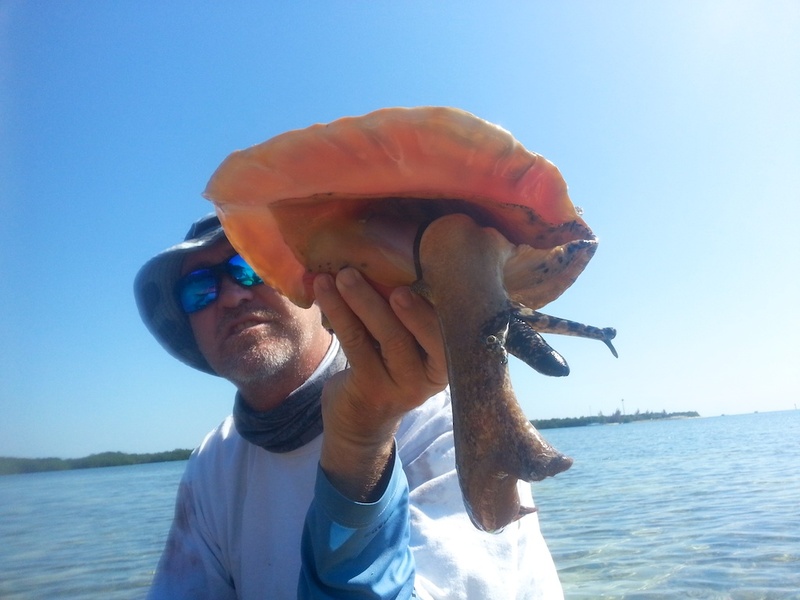 Our guide, James, was very knowledgable about the sea life in the keys and mangroves and we were able to hold, touch and feel a bunch of different sea creatures. The weather was perfect, not too humid with mild coastal breezes. 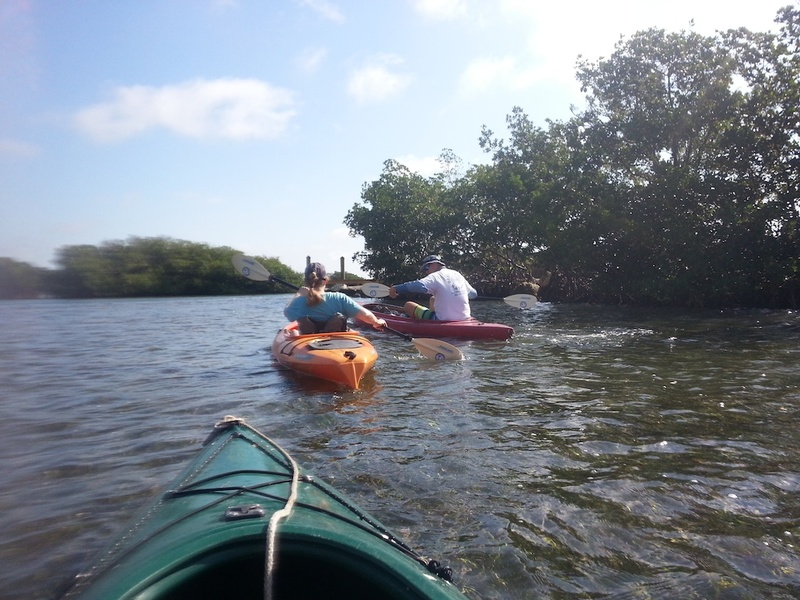 Kayaking wasn't nearly as hard as I thought it would be. I have the weakest arms of any living person, but I was somehow able to keep up for 2 1/2 hours, quite easily in fact. 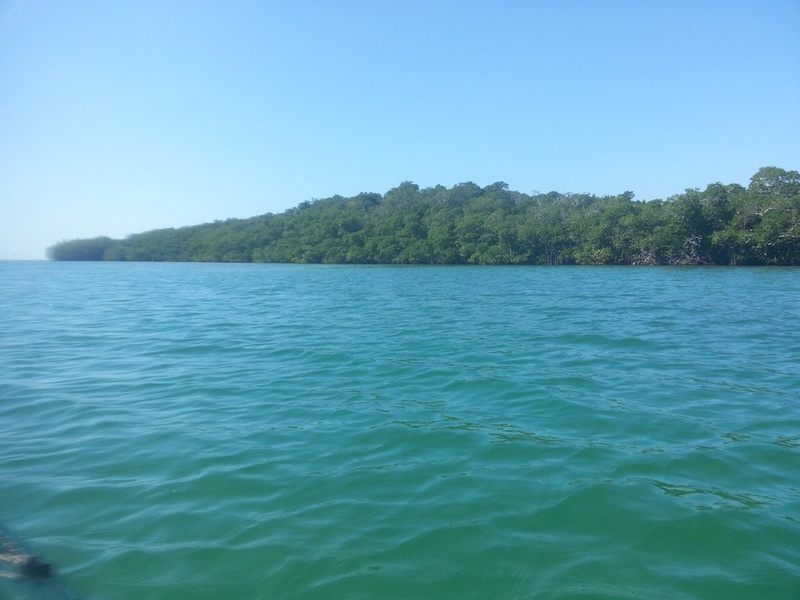 I love being out on the water and everything on this trip turned out perfect. I have to say it was probably one of my top 20 adventures...probably in the top 5 that i've experienced without my husband. Leaving the dock...still feeling a bit wobbly, but catching on quickly. 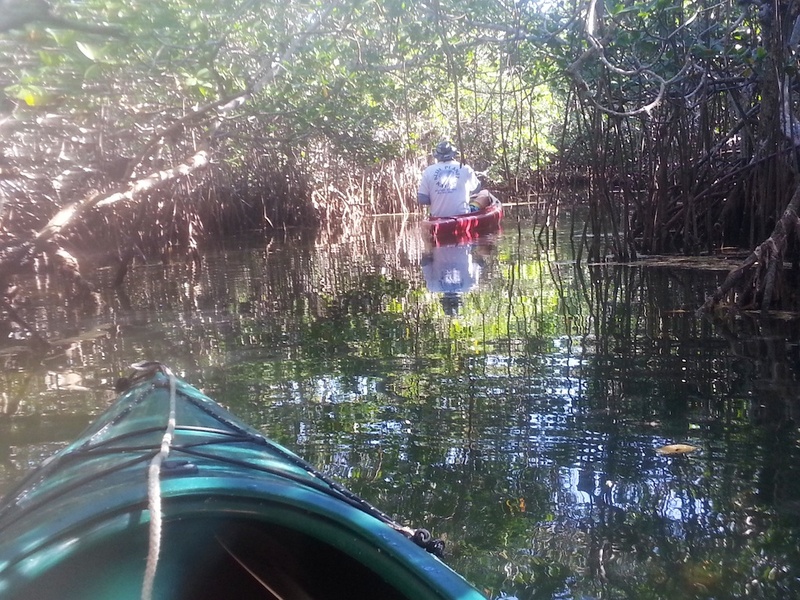 Kayaking through the mangrove forest. 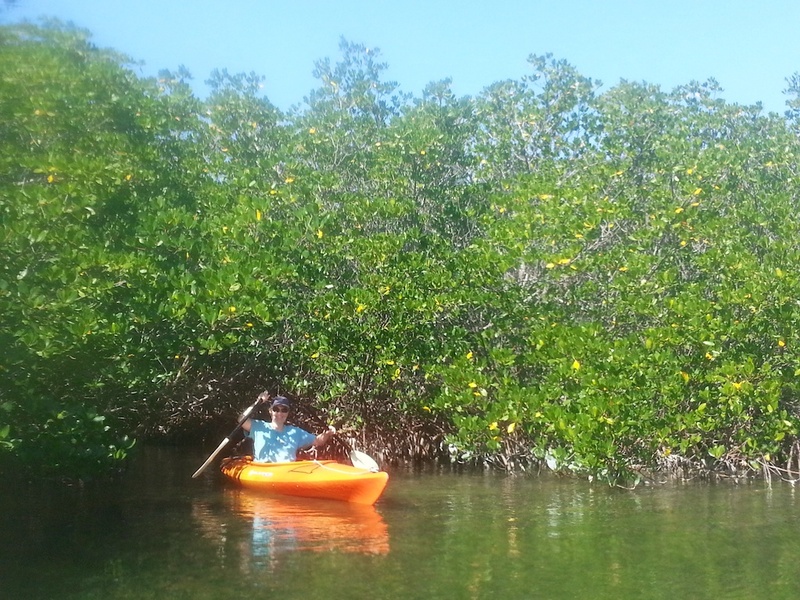 There are about 80 different species of mangrove trees. All of these trees grow in areas with low-oxygen soil, where slow-moving waters allow fine sediments to accumulate. Mangrove forests only grow at tropical and subtropical latitudes near the equator because they cannot withstand freezing temperatures. 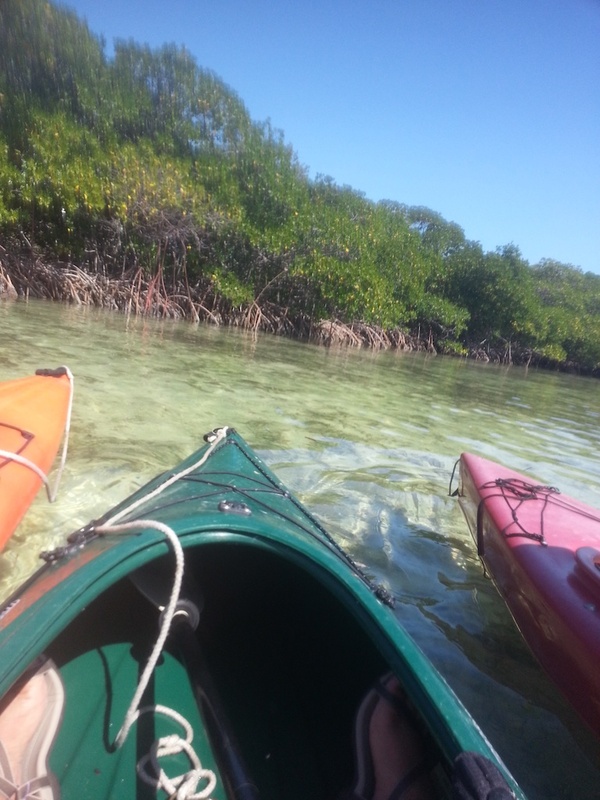 It was so peaceful kayaking through the mangroves. We got to hold a jellyfish. 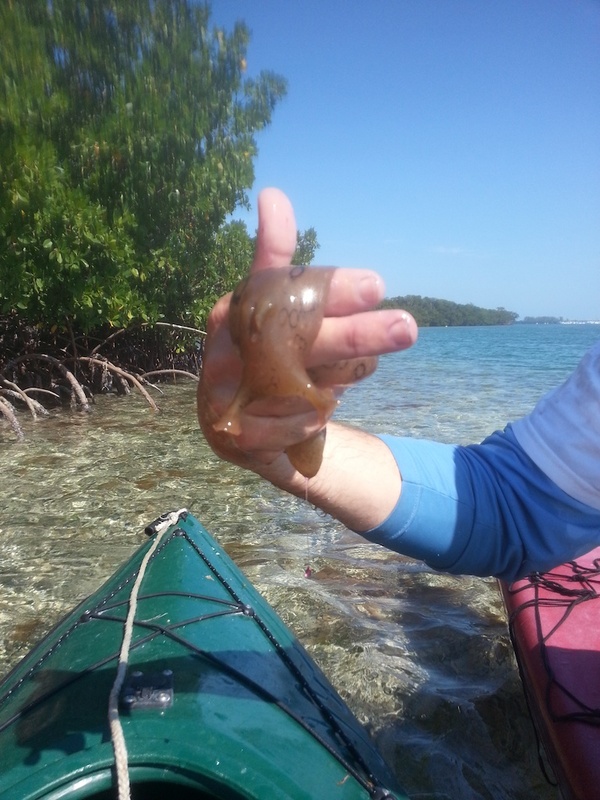 Yes, we held a jelly! Doesn't it look weird when it's flat against your hand? Nothing like the graceful flowy thing you see in the sea. Our guide told us to keep it on the palms of our hands, where we are 'tougher'. Other parts of our skin might feel the sting more. Me being the allergic and highly reactive person, I started feeling numb and tingly soon after our tour. But nothing that an allergy pill couldn't help. 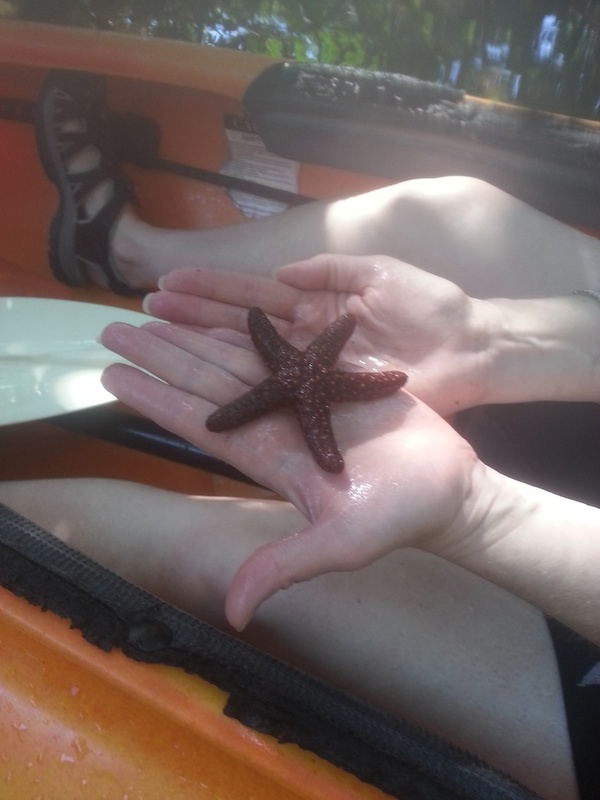 A tiny starfish. We held a much bigger one, bigger than my head. KC has a photo of that...I have to remember to get a copy of her pics. 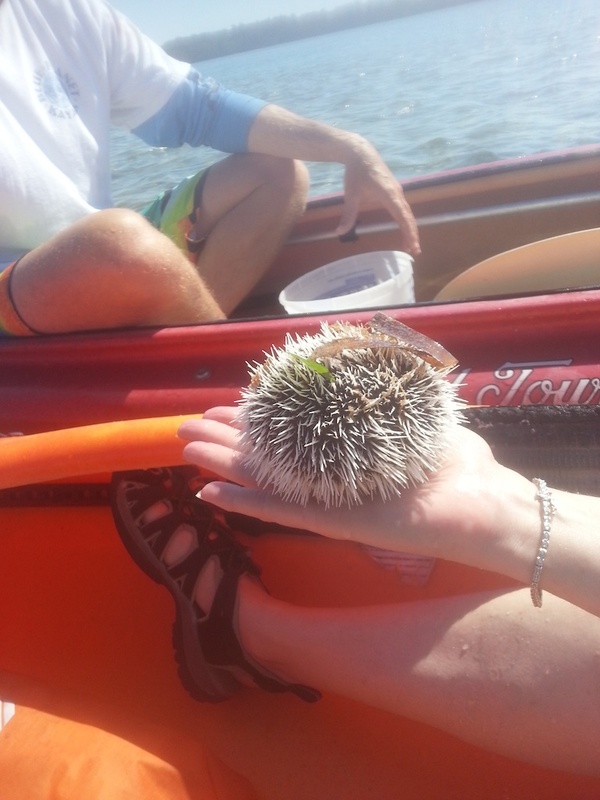 Another weird sea creature we got to hold. Don't you wanna do this, too?? You must do it! 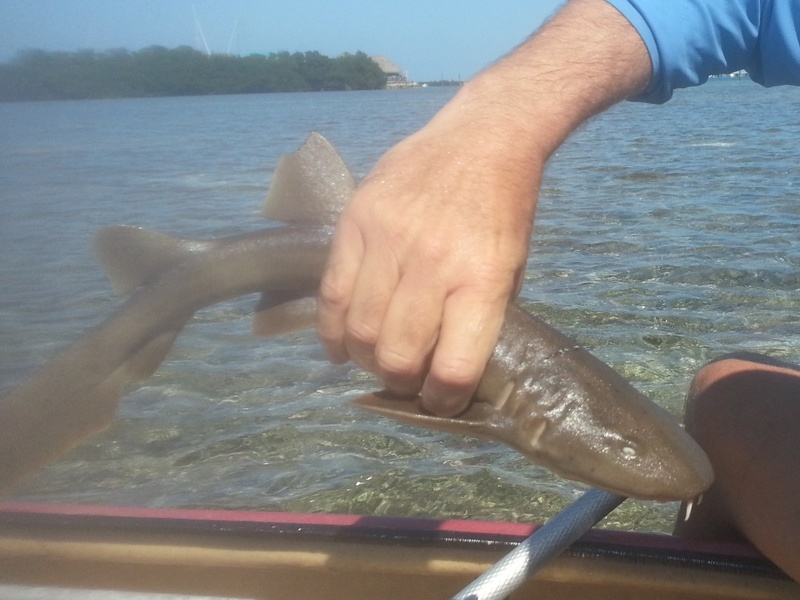 Most of the time the water was very shallow, 18" or less. We were only in deep (10'-15' so not really deep) water for about 15 minutes. 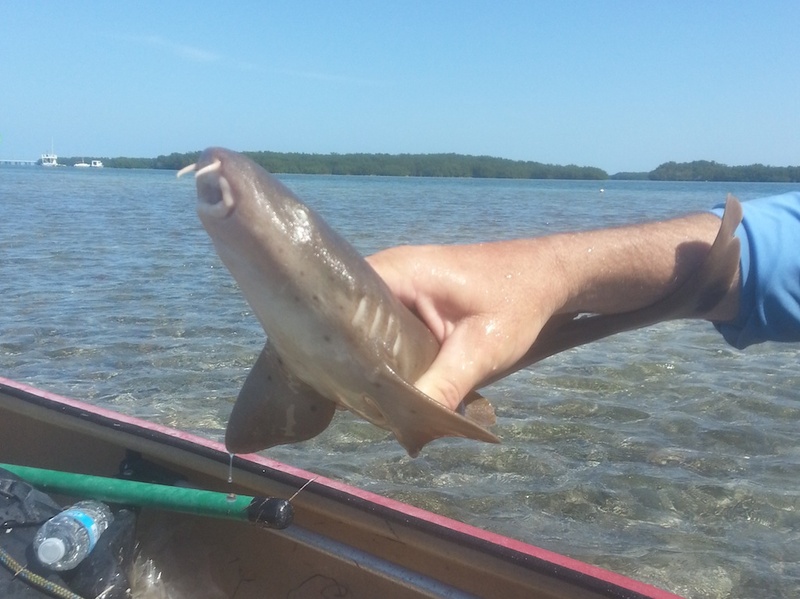 We didn't get to hold this nurse shark, but we did get to pet it. It felt like sandpaper. James was very careful and tender with all of the sea creatures he handled, making sure they were not out of the water for very long at all. 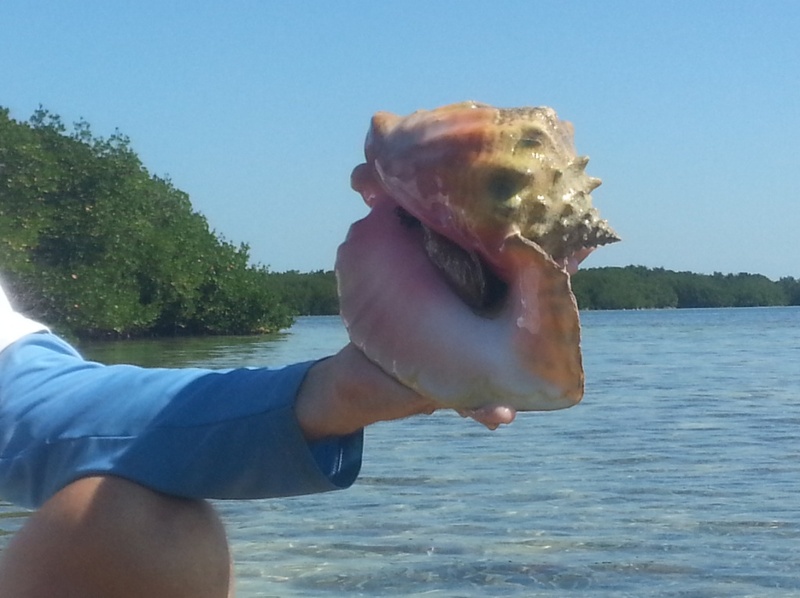 Conch...look at that beautiful shell! 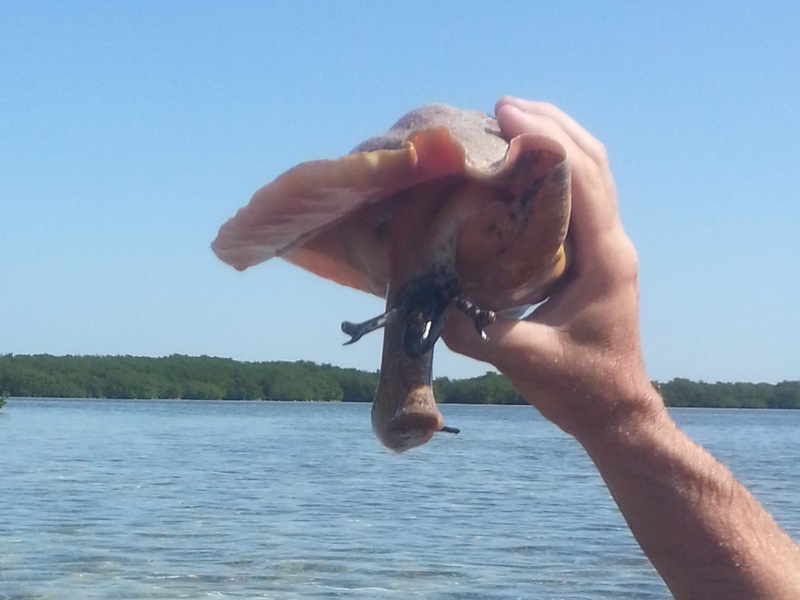 We had to patiently wait for the sea snail to come out of its shell. 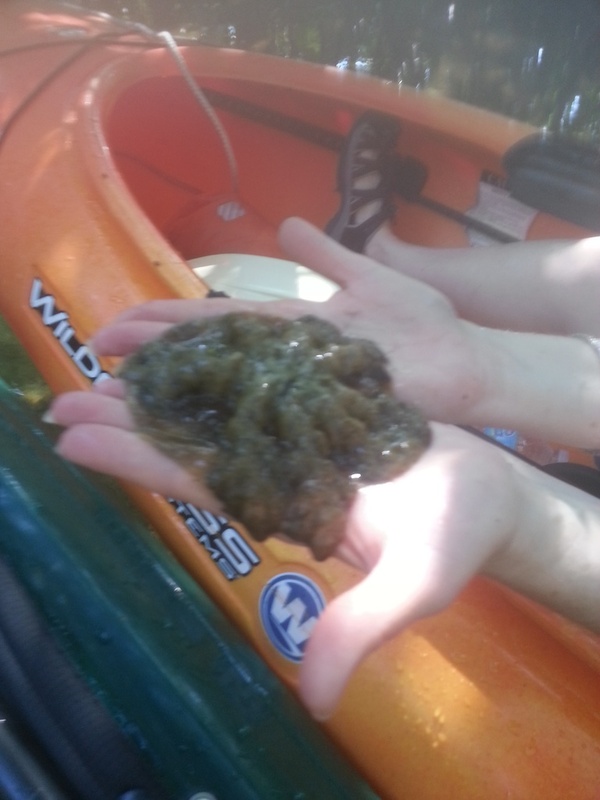 I can't believe people eat this. Doesn't look tasty to me. They are protected in this area, the ones that are eaten are from farms. 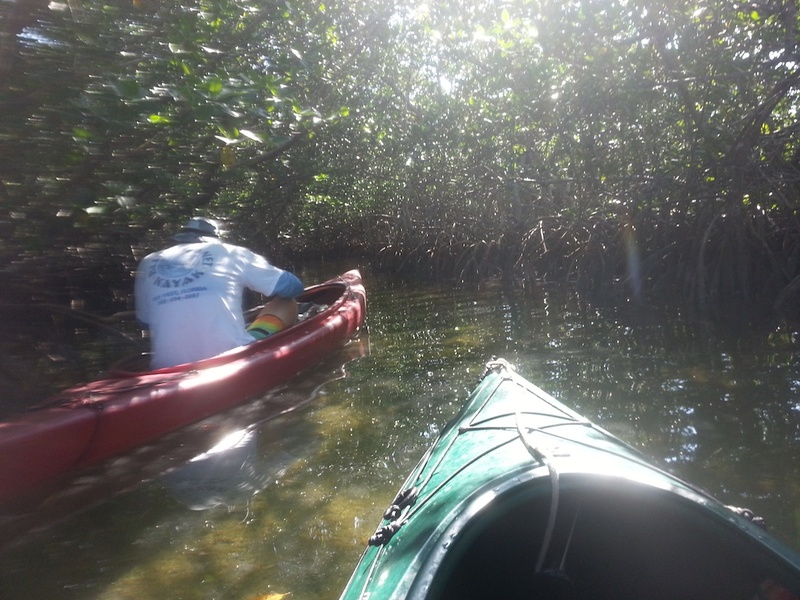 If you ever find yourself in Key West, I highly recommend doing this tour. We probably held 20 different creatures and saw a half dozen or more sea birds. If in the unlikely event I ever find myself in Key West again, I'd definitely do it again. I'd rather paddle the seas than wander through a bunch of tourist shops anyday. wow that's a fun excursion. we don't sign up for tour thru the cruise. we find cheaper outside.